At Honest-1 Auto Care, we're ready to assess all your car's muffler and exhaust issues. 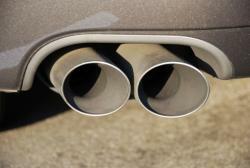 It is important to know that muffler and exhaust problems shouldn't be left alone and shouldn't fester. We are the experts when it comes to Littleton Muffler Repair. We're experienced. What's more, we're perfectionists. We want to make sure your exhaust is functioning properly, and up to state and federal standards. And when it comes to broken mufflers, we're here to make sure that when you drive away your car isn't sputtering and screaming, but muffled, like it should be. That's what we know about. We're proud to specialize in this important field of automobile mechanics. Mufflers and exhaust. Our work and our pride.